For as long as I can remember, it seems like most people in our industry have had some level of discomfort when dealing with doors. On the supply side, we struggle to get our head around a building supply category with seemingly endless options. On the contractor side, it can also be worrisome: The same myriad of choices stare you in the face and require proper research and communication to end up with a quality solution. Once you do get the right door to your job site, you are tasked with performing a quality install for your client. Of course, you're also committed to standing behind your work. Well, we have some great news on that front! 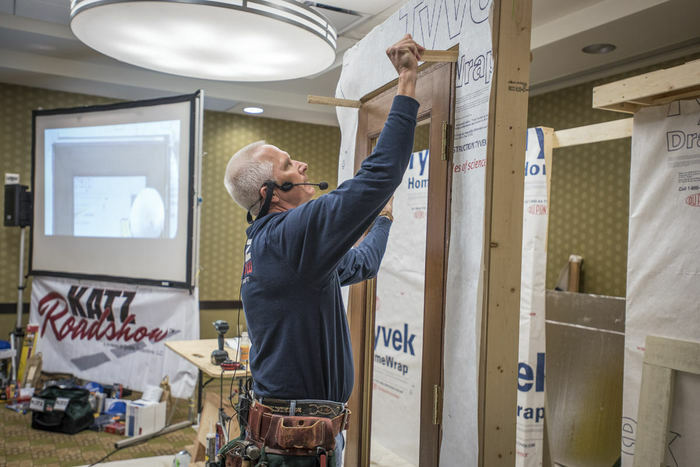 Our friend Gary Katz (of Katz Roadshow and THISisCarpentry) put together a video and article titled “Problem-free Prefit Doors." In these resources, Gary covers how to prepare the rough opening, ways to correct cross-leg issues, the placement of every screw, and the location of every shim. What's more, he offers the specific order to complete these actions, because there is a reason for Gary's process. You guessed it: to allow for adjustments at a later date with nothing more than a screw gun. Consistent quality, increased speed, and fewer callbacks—these are always our reasons for sharing Gary’s methods with you. There will be plenty of “ah ha moments" as you view this. Please let us know the methods that will help you sleep better from now on! As always, feel free to email me at jimc@dunnlumber.com. We are thrilled to be hosting an ongoing interview series with Gary Katz, and hope you enjoy the videos as much as we do. Whether you're doing a simple install or something more elaborate, or just reweaving a corner or replacing a few shingles in the body of an existing wall, there are a few simple steps and techniques I've learned that might help make your next project a success. If you have a small business or a larger, more complex system, knowing how to keep track of expenses is crucial to long-term sustainability. Here are some tips for keeping an accurate accounting of time and expenses.